The essay compilation The Shiloh Campaign edited by Steven Woodworth (April 2009) will be the first volume of SIU Press's Civil War Campaigns in the Heartland series. The planned series "showcases the decisive battles in the western theater, that immense and varied landscape between the Appalachian Mountains and the Mississippi River", and Chickamauga expert Dave Powell has commented that a volume covering that battle is progressing well. "John R. Lundberg examines the role of Albert Sidney Johnston, the prized Confederate commander who recovered impressively after a less-than-stellar performance at forts Henry and Donelson only to die at Shiloh; Alexander Mendoza analyzes the crucial, and perhaps decisive, struggle to defend the Union’s left; Timothy B. Smith investigates the persistent legend that the Hornet’s Nest was the spot of the hottest fighting at Shiloh; Steven E. Woodworth follows Lew Wallace’s controversial march to the battlefield and shows why Ulysses S. Grant never forgave him; Gary D. Joiner provides the deepest analysis available of action by the Union gunboats; Grady McWhiney describes P. G. T. Beauregard’s decision to stop the first day’s attack and takes issue with his claim of victory; and Charles D. Grear shows the battle’s impact on Confederate soldiers, many of whom did not consider the battle a defeat for their side. In the final chapter, Brooks D. Simpson analyzes how command relationships—specifically the interactions among Grant, Henry Halleck, William T. Sherman, and Abraham Lincoln—affected the campaign and debunks commonly held beliefs about Grant’s reactions to Shiloh’s aftermath." That's a nice group of authors (although Stacy Allen is notably absent). Essay selection is reminiscent of Gary Gallagher's Military Campaigns of the Civil War series published by UNC Press. Lamentably, that celebrated collection never made it out west, but Woodworth [I'm assuming he's the general editor] appears to have picked up the torch. At $25 or less, the price level is more than reasonable, too. eds. Allardice and Hewitt: "Kentuckians in Gray: Confederate Generals and Field Officers of the Bluegrass State"
The military fraternity from the Bluegrass State that achieved general officer rank in the Confederate army were an impressive lot. Kentucky generals were overrepresented in the army (9.2 percent of generals from a state that provided only 4 percent of total CSA manpower), but, given their outstanding leadership contribution to the western and Trans-Mississippi fighting forces, the Confederacy was clearly better for it. Indeed, one cannot imagine the Trans-Mississippi armies without the likes of Richard Taylor, Thomas Churchill, James Fagan, Richard Gano, James Hawes, Samuel Bell Maxey, JO Shelby, and William Slack. In Kentuckians in Gray, Bruce Allardice and Lawrence L. Hewitt have contributed to and edited 39 fine biographical essays, one for every native or resident* Kentucky general officer. They assembled 26 other experts, many of whom are either the subject's modern biographer or have published major associated works. It is an impressive field, and the editors did fine work in standardizing the structure and content of each essay. Each entry runs approximately seven pages and covers the subject's entire life. With the exception of Mary McBride's portrait of Randall Gibson, the preponderance of attention is paid to each general's war service. An image of each officer is provided, as well as a short reading list. In addition to the generals, there are brief biographical entries for Kentucky field grade officers. The format is very much similar to that found in Allardice's Confederate Colonels (Missouri, 2008). Information provided includes: birth date, birthplace, college attended, prewar residence and occupation, prewar military experience, spouse(s), service record (ranks, units, dates of promotion), wounds/captures, postwar residence/occupation, public/political posts held, date/place of death and burial, and sometimes a brief quote from a contemporary illustrating the officer's perceived character. It has been mentioned before that 2008 saw the publication of a number of top notch reference books, especially Confederate ones, and Kentuckians in Gray is certainly near the top of the pile. Institutional libraries will want to order this book, and researchers and genealogists will all benefit from the use of this exhaustive and authoritative biographical guide to the Bluegrass State's Confederate field officers and generals. * - Men who were not born in Kentucky, but spent enough time in the state to become identified with it, were included along with the Bluegrass natives. * Virginia at War, 1863. * Contested Borderland: The Civil War in Appalachian Kentucky and Virginia. * * * * * * * * * * * * * * * * * * My recent interview (Jan. '09) with co-author Bruce Allardice touched on this book and others from his earlier body of work. 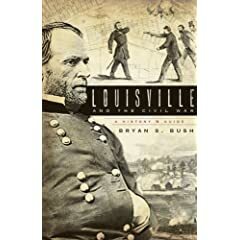 Bush: "Louisville & the Civil War: A History & Guide"
A conflicted city within a conflicted slave state, Louisville, Kentucky assumed a critical role (especially during the early war years) in the Union military's presence in the western theater. Yet, as major city studies go, it's remained comparatively underappreciated in the literature, with the last scholarly treatment dating from the early 1960s. Bryan Bush's new book Louisville and the Civil War: A History & Guide is a brief, but comprehensive, look at the Ohio River town's wartime experience. Bush traces Louisville's early involvement as a conduit for the secret (or not so secret) Lincoln administration plan to smuggle arms to pro-Union volunteers. The hand the Speeds (Joshua and James) played in this scheme is chronicled*. Once Kentucky's "neutrality" was finally abolished, Louisville was transformed into a vital logistical base and assembly point for a rapidly growing Union army. The author documents the passage of a number of units through Louisville, and their stay at one of the many camps ringing the city. With the 1862 Confederate invasion, Louisville was put on a more localized war footing, with citizens drafted into militia organizations and constructing hasty defenses. The city served as the place of concentration for the burgeoning army that General Don Carlos Buell used to ultimately expel the Confederate forces from the state. Guerrilla warfare also swirled in the countryside surrounding Louisville, even penetrating the city limits on occasion. Bush details the harsh Union response, characterized by the killing of regular Confederate prisoners in retaliation for Unionist civilian and military deaths at the hands of guerrillas. The post-war period is also discussed. Martial law and frequent lawless behavior by U.S. soldiers in the streets of Louisville led to resentment among citizens of all political stripes. Such actions, along with racial strife, contributed to a resurgent public role for ex-Confederates. The book is not a guide in the traditional sense of providing discrete tour stops and directions. Locations of important places and events are instead sprinkled throughout the narrative. An archival map of the city, a B&W reproduction of the beautiful full color plate from the O.R. atlas, exhibits an exceptional amount of period detail, but a labeled modern map or two would really help the modern reader locate the many points of interest mentioned in the text. An appendix provides some information about the general location of known forts and camps associated with Louisville. Heavily illustrated, Louisville and the Civil War is an attractive survey of a wartime city. It should prove to be a useful introductory tool for local history enthusiasts, but it also has enough detail to attract the attention of serious students of the western theater. Recommended. 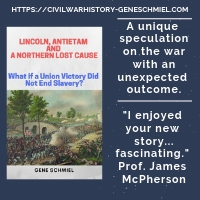 * - Undoubtedly, readers can learn more about this relationship from Bush's recent book Lincoln and the Speeds: The Untold Story of a Devoted and Enduring Friendship (Acclaim Press, 2008). 1. The Last Confederate General: John C. Vaughn and His East Tennessee Cavalry by Charles Larry Gordon (Zenith Press, 2009). The Civil War literature generally has little positive to say about the uneven military career of John Vaughn and his brigade of reluctant Confederates. This biography/unit history promises a new, fairer assessment. 2. Our Honored Dead: Allegheny County, Pennsylvania in the American Civil War by Arthur B. Fox (Mechling Bookbindery, 2008). Fox, perhaps best known for his study of Pittsburgh in the Civil War, here offers readers a treasure trove of maps, images, research data, and historical narrative spanning social, economic, and military spheres. A useful and great looking reference book at a reasonable price. It strikes one as a book destined for collectibility status. 3. "A Heinous Sin": The 1864 Brooksville - Bayport Raid by Michael C. and Robert M. Hardy (Authors, 2009). Michael and his father have put together a nice little piece of local Florida history that you can read in a single sitting. If you liked Dale Cox's book about the Marianna raid you can appreciate the parallels. Kirk: "Sul Ross' Sixth Texas Cavalry: Six-Shooters & Bowie Knives"
Beginning its Civil War service at Camp Bartow in September 1861, the 6th Texas Cavalry later built a distinguished combat record in campaigns conducted throughout the Trans-Mississippi and western theaters. The men fought in the Indian Territory and at Pea Ridge, Arkansas before being ordered across the Mississippi River. The 6th (brigaded with fellow Texans from the 3rd and 9th regiments) participated in the Corinth Campaign, the Battle of Thompson's Station, the raid on Holly Springs, and in the lengthy defense of Vicksburg. After the fall of the Hill City, the Texans remained in Mississippi for a time before being called to serve in the Atlanta Campaign and John Bell Hood's disastrous Tennessee Campaign. Subsequently attached to Richard Taylor's department, the unit ultimately surrendered in May 1865. Stephen Kirk's study Sul Ross' Sixth Texas Cavalry is a combined history and roster. The 116 pages of main text are not a traditional narrative account of the regiment's service, but rather a compilation of extensive excerpts from various primary and secondary source materials, with brief narrative transitions provided by the author. As such, a comprehensive analytic approach to the unit's wartime service is not employed. Instead, the text presents a personalized picture of matters of pressing importance to the men of the regiment, things like equipment and supply problems, internal command conflicts, and desertion. What is truly impressive about the book is the extensive roster, over 230 pages of detailed information about the officers and men of the 6th Texas Cavalry. Subdivided by company, an officer list is provided as well as a chronicling of the unit's various deployments. The combined roster (officers, NCOs, and enlisted men) was constructed from a variety of sources -- census data, POW and pension records, and other government documents as well as county histories, letters, diaries, etc. While anywhere from a few lines to half a page is devoted to each individual, the typical entry contains far more information than that found in the typical regimental roster. Mr. Kirk has uncovered and organized a wealth of material that should be of great use to researchers and genealogists interested in Texas Confederate units as well as the campaigns of the western and Trans-Mississippi theaters. * - The book has no website, so I'll include the ordering information here. The cost of the book is $23.95, and there is a $4.80 shipping charge. Institutions may order the book by sending or emailing a purchase order to Stephen S.Kirk, 4414 West 111th Terrace, Leawood, Kansas 66211. Others may order by sending a personal check or money order to the same address. 1. Waters of Discord: The Union Blockade of Texas During the Civil War by Rodman L. Underwood (McFarland, 2008 - PB rep.) This book, the paperback follow up to the 2003 hardcover edition, is a study of the blockade of the Texas coastline in military, economic, and diplomatic contexts. Looks like a very fine survey. 2. Cuban Confederate Colonel: The Life of Ambrosio Jose Gonzales by Antonio Rafael de la Cova (Univ. of South Carolina Press, 2009 - PB rep.). I am surprised I missed this book the first time around. 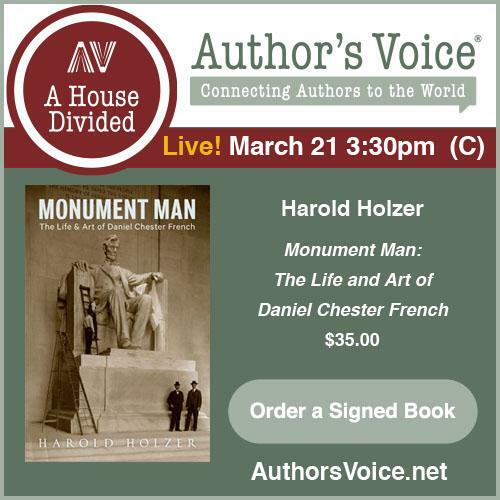 It's a massive biography of a comparatively obscure figure, and contains a wealth of material pertaining to Gonzales's personal ties to the South (he also married into South Carolina's prominent Elliot family) and his Civil War career spent defending Charleston. Students of the antebellum filibuster movement will be interested in this study, as well. The 2003 hardcover edition remains in print, with the new paperback available on a print on demand basis. 3. 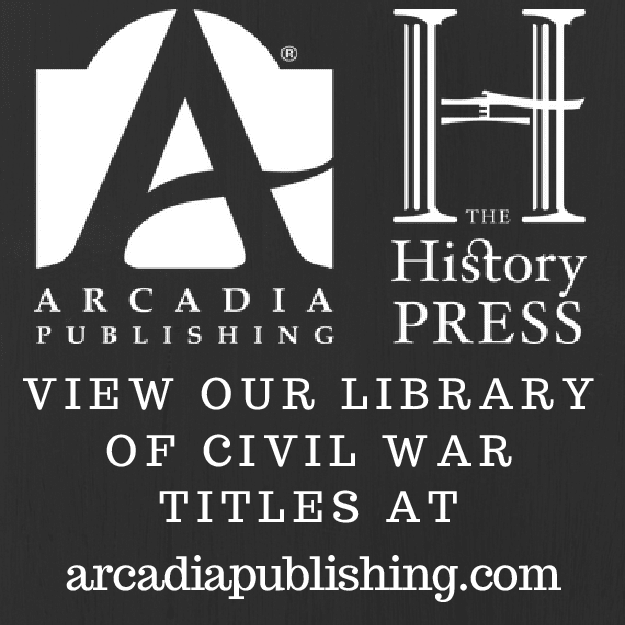 Field Artillery Weapons of the Civil War, Revised Edition by James C. Hazlett, Edwin Olmstead, and M. Hume Parks (Univ. of Illinois Press, 2004). After two editions from University of Delaware Press (1983 and 1988), this 2004 effort, the most recent revised edition of the king of descriptive Civil War field artillery reference books, is unfortunately only available in softcover (AFAIK). 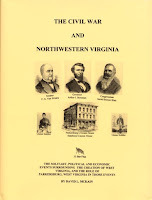 The Civil War in Northwestern Virginia is a dual publication, part narrative, part source compilation. Author David L. McKain's narrative is roughly 150 pages in length, and, as the title implies, is a fairly comprehensive overview of regional military events (mostly raids, and guerrilla attacks), as well as a summary of the political events that led to the formation of the new state of West Virginia. However, the central focus of McKain's writing is the city of Parkersburg and its divided citizenry. The economic discussion is novel in that the emphasis is on the nascent petroleum industry, both extraction and refining. This is one of the few studies1 in the literature that focus on this rising industry in the context of the Civil War. The narrative section of the book is only selectively cited, but does include a bibliography and index. Lengthy excerpts from newspaper accounts and O.R. reports are integrated into the text, as well as passages from important secondary sources such as H.E. Metheny's Wood County history2. It's also densely illustrated, with drawings and photographs sprinkled throughout. Maps depict city streets, political boundaries, and military movements. The second part, an eclectic compilation of source material, runs approximately 200 pages, and is divided into 25 appendices. Here, almost 100 pages of transcribed newspaper articles (primarily the Wheeling Intelligencer) are assembled and categorized. A major portion is devoted to the oil industry, but articles dealing with military activities and political reportage are similarly abundant. The author also reproduced O.R. reports and sections from Dyer's Compendium relevant to military campaigns and events that took place in West Virginia. Some letters and diaries were also included. 1 - Darrell Collins's history of the Jones-Imboden Raid contained some insight into the economic importance of the region, especially with its coverage of the oil field destruction at Burning Springs. 2 - H.E. Metheny's Wood County, West Virginia, in Civil War Times: With an Account of the Guerrilla Warfare in the Little Kanawha Valley (Trans-Allegheny Books, 1987) is a very worthwhile study on its own, and still in print last time I checked. Parkersburg is in Wood County. Smith: "Thomas Ewing Jr. : Frontier Lawyer and Civil War General"
Ronald D. Smith's biography of Thomas Ewing is somewhat unusual in that he devotes as much attention to his subject's pre and post Civil War career as he does the 1861-1865 period. Indeed, 150 pages pass before Ewing resigns his Kansas Supreme Court post to lead the 11th Kansas Infantry. Beyond merely tracing Ewing's early legal and business career, these pages provide fascinating insights into the larger practice of frontier law and land speculation. The author, a Kansas lawyer himself, delves deeply into the boom and bust nature of the state's territorial years. It's a perspective of territorial Kansas not often seen in the literature. Of further interest to the reader is the manner in which Smith treats this part of his study as a family biography, following the lives of Hugh Ewing and foster brother/brother-in-law William T. Sherman almost to the same degree as Tom Ewing. Law partner Daniel McCook also figures prominently in Smith's treatment. Stepping outside the spheres of politics and law, Smith also devotes significant attention to Ewing's military career. The Ohioan served in the Trans-Mississippi theater from 1862-1865 in both combat and district level administrative posts. While Smith duly covers Ewing's role in the 1862 Prairie Grove campaign, he appropriately spends the bulk of his military coverage on the two great events of Ewing's Civil War career, the issuing of General Order No. 11 and the defense of Fort Davidson, Missouri. While I quibbled with some of the details and source use in places, there is little that's grossly disruptive. Smith's assessment of Ewing's infamous Order No. 11* is sound, and the general's stout defense of Fort Davidson (and the successful retreat that followed) during the early stages of the 1864 Price Raid through Missouri is similarly well chronicled. 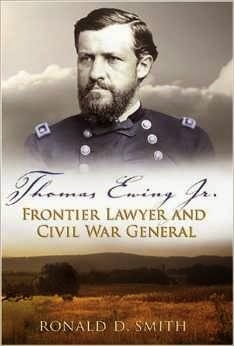 The third section of the book explores Ewing's active post war career, which included participation as defense counsel in the conspiracy trial following Lincoln's assassination and a controversial cotton business venture. Ewing was not a supporter of Radical Reconstruction and actively lobbied against a guilty verdict in President Andrew Johnson's impeachment trial. Later, politics beckoned, and Ohio sent him to Congress, but Ewing failed in his subsequent gubernatorial effort. A leading legal and business figure in territorial Kansas, a Civil War general, and a politician, Thomas Ewing Jr. is deserving of a modern biography. With this book, Mr. Smith succeeds in crafting a complex and often fascinating personal, political, and military portrait of the general and of the Ewing family, as well. 1. Lincoln: A Very Short Introduction by Allen C. Guelzo (Oxford Univ. Press, 2009). This pocket sized book is the Lincoln volume (#203!) of the Very Short Introductions series. 2. Campaigning with Uncle Billy: The Civil War Memoirs of Sgt. Lyman S. Widney, 34th Illinois Volunteer Infantry ed. by Robert I. Girardi (Trafford Publishing, 2008). This is one of the more detailed memoirs of a soldier serving in the western theater that I've come across. 3. The Flags Of Civil War Arkansas by Glenn Dedmondt (Pelican Publishing Co., 2009). I'm not quite sure how many states have been covered by Dedmondt so far (at least North Carolina, South Carolina, and Alabama remain in print), but this one and Missouri were scheduled for 2009. I haven't had a chance to examine the text yet, but the Arkansas volume is a beautiful book, a sturdy paperback with glossy pages packed with photographs and full color artist renderings of the flags. That said, vexillology is not one of my strong suits by a long shot. 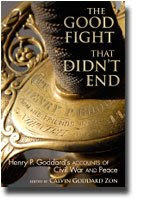 Goddard / Zon: "The Good Fight That Didn't End: Henry P. Goddard's Accounts of Civil War and Peace"
Personal accounts of Civil War service are common enough in the literature (as we all know), but ones that deeply extend into and beyond the Reconstruction years are less so. Such are the writings of Norwich, Connecticut's Henry P. Goddard, compiled and edited by his great-grandson Calvin Goddard Zon and published as The Good Fight That Didn't End: Henry P. Goddard's Accounts of Civil War and Peace (University of South Carolina Press, 2008). After a brief stint in the 2nd New York Cavalry's "Connecticut Squadron", Goddard joined the newly formed 14th Connecticut in June 1862. Beginning his service as a sergeant major and ending it as a captain, Goddard's combat experience in the infantry extended from Antietam through his resignation in April 1864 (with a disability certificate). Calvin Zon, who contributed the book's introduction and index as well as brief transitional narratives and occasional notes, has skillfully arranged Goddard's writings, which include letters, diary entries, and post-war reminiscences. Other sources, such as Charles D. Page's History of the Fourteenth Regiment, Connecticut Vol. Infantry, are extensively excerpted by Zon, to provide context and additional information. The last third of the book comprises Goddard's journalistic work for Connecticut and Baltimore newspapers. In these articles he critically explores important issues of race relations, Reconstruction, and national reconciliation. While his newspaper writings advocated for black civil rights, they also reflected the deeply conflicted feelings many in the public had over Reconstruction policy. This book is an obvious labor of love on the part of the editor. Zon's work is an exceptionally thoughtful compilation of his ancestor's writings, which comprise useful source material for researchers of the military campaigns of the eastern theater as well as historians interested in the key issues raised by the societal upheaval of the post-war decades, North and South. The Portable Abraham Lincoln, Abraham Lincoln, ed. by Andrew Delbanco (Penguin Classics, 2009). With a new introduction by Andrew Delbanco this reprint (Bicentennial Edition) of The Portable Abraham Lincoln is a fine collection of the most recognizable and most important of Lincoln's writings, arranged in a manner giving equal weight to each stage of the subject's political career. Correspondence with military leaders, politicians, and private citizens provide insight into Lincoln's handling of relationships with individuals, his stylistic variety, as well as his views on a number of pressing public issues. The writings consist of personal letters, notes, memoranda, lecture & speech transcriptions, presidential proclamations, and addresses. A biographical listing of the president's correspondents is included, as well as an index. This astutely selected compilation of Lincoln's writings serves as a great introduction for secondary school and university students. The Battle of the Crater: A Complete History by John F. Schmutz (McFarland, 2009). Lots of publishing action surrounding the Crater. Back in 2007 there was Axelrod's The Horrid Pit: The Battle of the Crater, the Civil War's Cruelest Mission, this one now, and coming up mid-2009 we'll see Slotkin's No Quarter: The Battle of the Crater, 1864. At around 350 small print pages of main text, Schmutz's 7 x 10 sized book is hefty, and the breadth of coverage and research looks substantial. 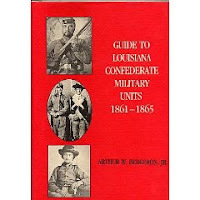 Guide to Louisiana Confederate Military Units by Arthur Bergeron, Jr. (LSU, 1989). The company officer data and unit sketches are far more detailed than Sifakis, although the latter does also include an organizational listing for each unit making both books worth owning. Bergeron also has paragraph length histories for independent companies, as well as an OB for state militia regiments and battalions. A source essay and index round out the volume. The hardcover can still be had for a reasonable price on the secondary market, but only the 1996 paperback edition remains in print. Smith: "Frontier Defense in the Civil War: Texas' Rangers and Rebels"
One quarter of the antebellum U.S. army was stationed in Texas protecting settlers from Indian raids and securing the Mexican border. Thus, when these forces exited the state following secession and the onset of Civil War, Texas had a huge security problem on its hands with most of its organized Confederate forces shunted off to other fronts. Over fifteen years old, David Paul Smith's Frontier Defense in the Civil War remains the best and most comprehensive scholarly study examining the various state and Confederate military and political initiatives that sought to provide an effective defensive umbrella over Texas's frontier settlements. These were objects of frequent raids by hostile Indians (primarily Comanches and Kiowas). Frontier Defense in the Civil War delves into the thorny issue of which government (state or Confederate) would assume primary responsibility for protecting the Texas border, a natural question in regard to a national boundary. Smith covers this neverending political dispute in depth and well, while also providing readers with detailed unit histories of the organizations sequentially charged with border defense -- beginning with McCulloch's First Regiment Texas Mounted Rifles, and moving on to the Frontier Regiment, Bourland's Border Regiment, and the militia's Frontier Organization. The authorities experimented throughout the war period with various methods for countering Indian raids before finally settling on a combination of regular patrols backed by rapid response militia units. As the war dragged on, the already extended frontier units found themselves saddled with additional duties in the areas of conscription enforcement and in breaking up increasingly large pockets of deserters and other renegade groups. The book's six maps are rather unremarkable, consisting mainly of large scale depictions of the settled areas of Texas with overlying military district boundaries. While major points of interest were included, many locations mentioned in the text were left out. The appendices consist of additional source notes, some Texas Rangers documents, and a reasonably detailed frontier order of battle for the 1861-1865 period. Grounded in archival source materials, Smith's research is impressive and original. While the narrative is spare, it never lacks for useful information. Frontier Defense in the Civil War -- still in print in paperback format -- remains a significant and unsurpassed contribution to the literature of the Civil War period in Texas.